As a small business owner, you know that blogging provides great payoffs; it makes a big impact on your internet marketing and search engine optimization, it positions you as a subject matter expert, and it costs next to nothing. The question is, how do you blog and still have time for all that other “more important” stuff, like run your business? Companies see 67%-88% more leads per month when writing a blog. 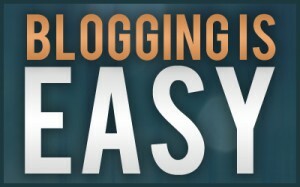 Do you want your blog to really get noticed? Add a graphic, a video, an infographic, or a downloadable tool like our Social Media in 15 Minutes a Day handout to really add some zing. Keywords are also important for search engine optimization so you rise to the top of the heap in Google. The bottom line is that you have no more excuses because we’re giving you 100 great ideas of things to blog about. 13. Describe the supply chain in very general terms so that no trade secrets are given. For example, the process of the cocoa bean to chocolate. 25 Blog Ideas That Will Rock Your Readers World! I Started A Blog! What Will I Say? Leave me a comment on what your favorite thing is to blog about and I’ll catch you in the blogosphere! I totally agree with you ! And my co-founders at optimeez too but sadly we don’t give enough time to blogging. At least we don’t give as much time as we should. We used to blog a few month ago and we stopped. I will make us blog again !